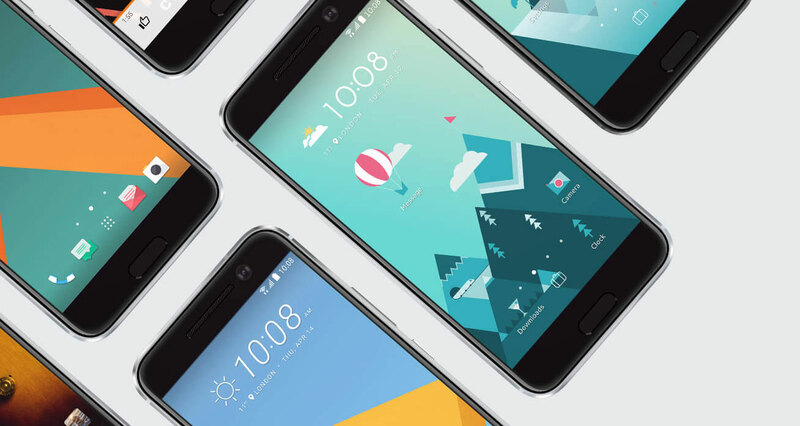 #Update: HTC 10 has been launched in India for Rs. 52,990. Finally all the rumors have taken rest after HTC revealed their flagship device, HTC 10, in an event. Though HTC has announced two devices, i.e. HTC 10 and HTC 10 Lifestyle, but the latter is only available in few places. In specs comparison, HTC 10 Lifestyle is a downgraded version of HTC 10 with Snapdragon 652 and 3GB of RAM. But here we are talking about HTC 10, so lets keep HTC 10 Lifestyle aside for a moment. This time HTC has renamed their flagship device and has removed ‘One’ and ‘M’ from the name, resulting in a simple name “HTC 10”. HTC 10 is priced at $699 (approximately Rs. 46,500) in the official website, but the final price may vary according to region. The phone will be available in three colors, i.e. Carbon Gray, Topaz Gold and Glacier Silver. HTC 10 has got a complete new design with nice sharp curves in the edges that make it easier to hold. No doubt that the device feels very premium and is among the most powerful devices available at the moment. Coming down to the specifications of HTC 10, the device is powered by latest Snapdragon 820 SoC coupled with 4GB of RAM. It features a 5.2 inch Super LCD5 display with a resolution of 1440 x 2560 pixels, which make it super sharp and crystal clear. The graphics of the phone are handled by Adreno 530 GPU, while the internal storage is 32GB and 64GB, which can further be expanded up to 200GB via micro SD card. As expected, HTC 10 runs on Android Marshmallow with latest HTC Sense UI over the top. It sports a 12 UltraPixel primary camera with bright f/1.8 aperture, optical image stabilization and Laser auto-focus. On the front, it holds a 5MP camera which also has f/1.8 aperture and optical image stabilization. This is for the first time that any phone has OIS on its front camera. HTC 10 is back again with BoomSound speakers, that are known to be the best speakers in any mobile phone. The device also feature USB Type-C and fingerprint sensors. It is packed with 3,000mAh battery which support Quick Charge 3.0 which allows the phone to charge up to 50% in just 30 minutes. The other standard features include Wi-Fi, Bluetooth, NFC, GPS and 3.5mm audio jack. No wonder that HTC 10 is one of the best flagship device ever made by HTC, whether it is design or performance, HTC 10 is top-notch. To get more updates on HTC 10 and other upcoming HTC devices, stay tuned with us.